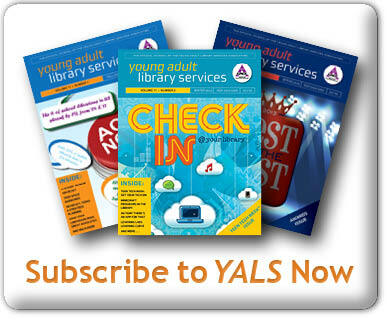 By admin March 31, 2014 March 28, 2014 YALSA Info. An amazing way to get your tweens and teens to know the â€œunfamiliarâ€ bits of your library is to do self-directed scavenger hunts. You know that your â€œkidsâ€ tend to congregate to one particular area- whether it’s your teen space, a place with the most comfortable chairs or a low table for card gaming, or the place furthest away from the supervising eyes of the non-teen people at the desk. 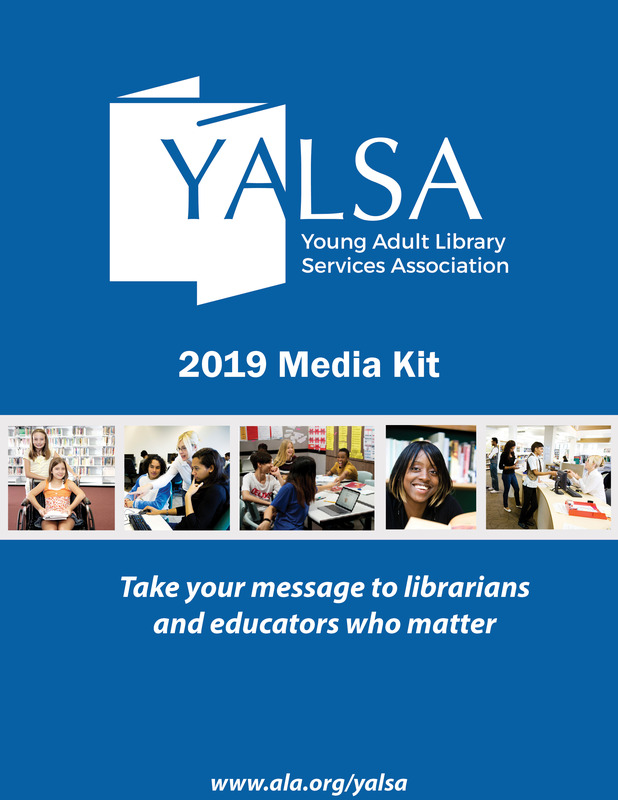 And while they’ll know where to find the YA books, MAD Magazine and Alternative Press, and manga, do they know where to find non-fiction books for reports? Or how to operate one of the databases? 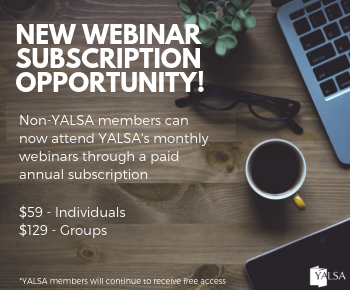 If you become devious and take a little time out of your day, you can take a theme and turn a lesson in the library world into a creative self-directed program that will make them want to participate. Scavenger hunts can be as intricate or as simple as you want them to be. Think about your current teens and the browsers that you have. What do they like, what things grab them? Do you have a program coming up that you could use this program as a gateway, like a Lego or Rainbow Loom makerspace? 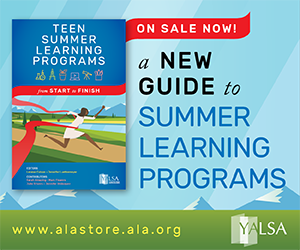 Are your teens gearing up for state tests or are you starting to build up for summer? Are you celebrating Free Comic Book Day or Star Wars Day or any of the newer movie releases? 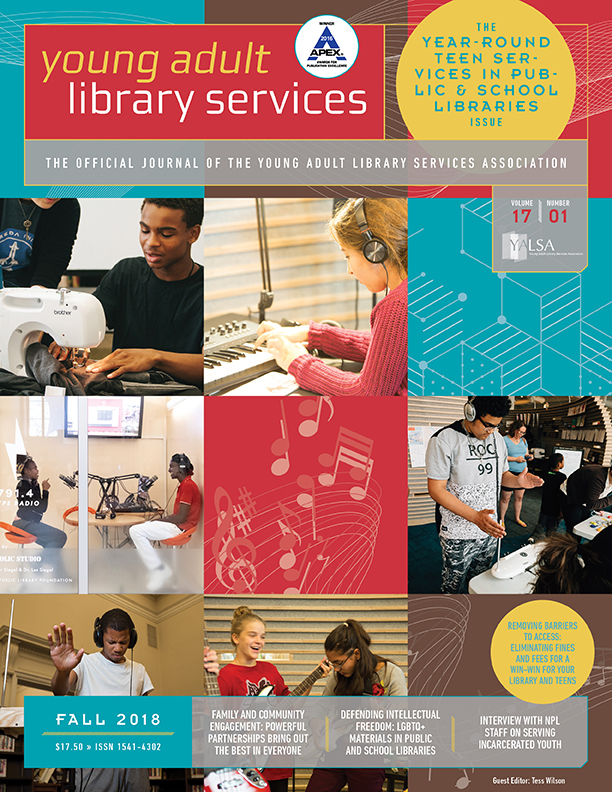 Take any of those and create silhouettes or in-house graphics to place around the library- depending on the length you decide your program will be (a day, a week) they can be printed on normal printer paper or card-stock, but they don’t have to last long. Or, like I did for Teen Tech Week this year, take a page from Gwyneth Jones (http://www.thedaringlibrarian.com/2012/05/qr-code-quest-scavenger-hunt-part-deux.html), The Daring Librarian, and go with a QR scavenger hunt! 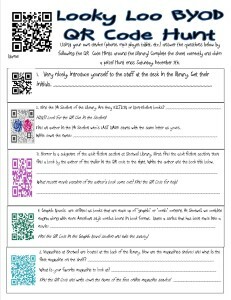 Instead of characters and pictures, make your hunt virtual and hide QR codes around the library for teens to scan and learn. I used ours to introduce our new Ipad and tablets to our tweens and teens. Horror is a sub-genre of our fiction section, and Carrie is based on a book by this author. Find the author and the book and find your next clue. So get creative and then sit back and watch the fun! 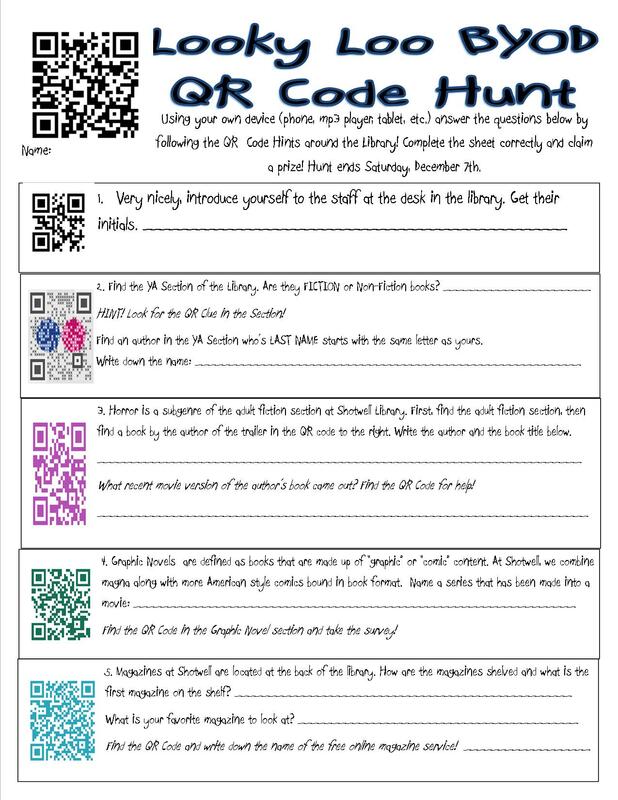 The Teen Tech Week QR code scavenger hunt has begun! Tagged Scavenger Hunts, Teen Tech Week.